Iran has allowed a leading dissident journalist to leave the country to receive a journalism award in Moscow. 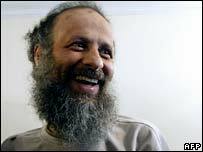 Akbar Ganji, who was freed from jail in March, told the BBC he was given permission to go at the last minute. On Monday, he will collect the World Association of Newspapers' Golden Pen of Freedom award in Russia's capital. Mr Ganji, 46, spent five years in prison since 2001 for writing articles in which he linked senior officials to the murder of five dissidents in 1998. He is expected to deliver a speech on human rights and on the controversy surrounding Iran's nuclear programme to more than 1,000 journalists from 110 countries attending the forum in Moscow. Mr Ganji will then go on to Germany, Italy and the United States. He spent much of his jail term in solitary confinement and went on hunger strike for several months last year. When brought to court to stand trial, Mr Ganji complained he had been beaten. 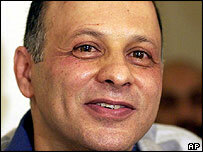 He came to prominence after his investigation of the 1998 murders of the dissidents. The intelligence ministry said "rogue agents" had carried out the killings, but Mr Ganji maintained senior officials were behind them. His imprisonment came amid a media crackdown by hardliners as the then reformist President Mohammad Khatami appeared to be threatening their power. Mr Ganji is a hero to Iran's reformists for standing up to hardliners, and many world leaders have called for his release, correspondents say. They say many Iranians thought Mr Ganji would never be freed from jail, even though his sentence was due to end.